The heart of Operation Inasmuch is to spread A Compassion Revolution of profound impact on our churches and communities. Our role in such a revolution is to motivate, train, and equip churches to move congregants out of the seats and into the streets to minister to the “least of these:” the sick, the poor, the hungry, prisoners, immigrants, and orphans, in short, any neighbor in need. Please consider joining the Compassion Revolution as a financial partner – an Inasmuch Collaborator. You can impact lives within and outside of the church when you help us mobilize more churches to send more people into mercy ministry. And for each dollar donated in 2016, the Inasmuch churches that reported their activities rendered $23.07 in ministry to those in need in their communities. These 514 churches collectively sent out more than 27,000 volunteers in 2016 to minister to 208,442 people in their communities, representing $4.2M in labor hours and material costs. Operation Inasmuch has trained 1200 more churches that did not send in reports about their Inasmuch events. Had they done so, the reported impact may have been 340% higher! How do we plan to take the Compassion Revolution through the church across the country? Accomplish the above activities at the lowest possible cost to churches, not charging any fees beyond our training and materials costs. This is why most of our operating funds come from generous donors. Please join with us to accomplish these goals. If you desire to see communities heal as the church fulfills Jesus’ compassion commands – if you are passionate for the church to truly live as Jesus’ hands and feet – then become an Inasmuch Collaborator through your regular donation of $50, $100, $500 or $1000. 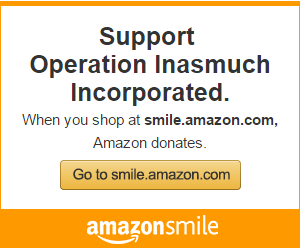 Because Operation Inasmuch is a 501(c)(3) nonprofit organization, all donations are tax deductible. You can also directly mail your donations to Operation Inasmuch, Inc., Post Office Box 2523, Knoxville, Tennessee 37901. 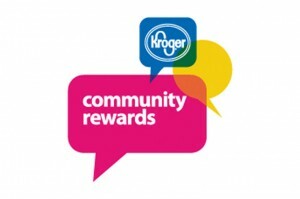 Click on the images below to learn how shopping with Amazon and Kroger can help Operation Inasmuch, Inc.!